Violet color. 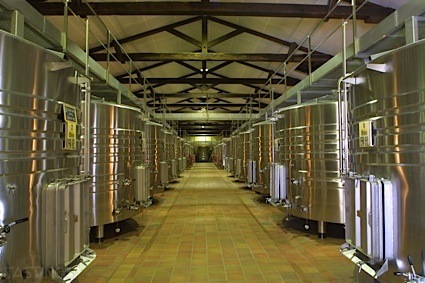 Aromas and flavors of malted vanilla and milk chocolate, yeasty pastry, and sweet spiced berries with a tangy, fruity medium-to-full body and an intricate, medium-long finish imparting shades of pickled citrus and pears, nuts, and dusty cedar with dusty, fine tannins and moderate oak flavor. 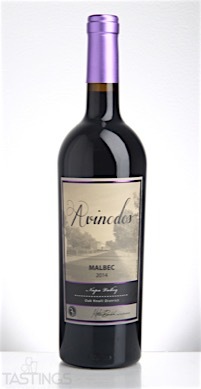 A rich, spicy, mouthwatering Malbec with great table appeal. Bottom Line: A rich, spicy, mouthwatering Malbec with great table appeal. 93 • Avinodos 2014 Cabernet Sauvignon, Coombsville, Napa Valley 14.3% (USA) $58.00. 94 • Avinodos 2014 Malbec, Oak Knoll District, Napa Valley 14.7% (USA) $38.00. 93 • Avinodos 2014 Zinfandel, Sonoma Mountain 14.6% (USA) $30.00. 94 • AvinoDos 2012 Cabernet Sauvignon, Diamond Mountain, Napa Valley 14.8% (USA) $100.00. 90 • AvinoDos 2015 Zinfandel, Sonoma Mountain 14.6% (USA) $32.00. 84 • AvinoDos 2016 Sauvignon Blanc, Yountville, Napa Valley 13.9% (USA) $28.00. 95 • AvinoDos 2015 Cabernet Sauvignon, Coombsville, Napa Valley 14.3% (USA) $60.00. 83 • AvinoDos 2015 Malbec, Oak Knoll District, Napa Valley 14.7% (USA) $42.00. Avinodos 2014 Malbec, Oak Knoll District, Napa Valley rating was calculated by tastings.com to be 94 points out of 100 on 4/4/2017. Please note that MSRP may have changed since the date of our review.